London Singing Lessons - Professional Quality Tutors. Want to Learn to Sing? Try Singing Lessons in London! Do you sing? Would you like to learn to sing? Why not take singing lessons in London with one of our expert tutors! All our tutors have a wealth of knowledge in teaching, experience in providing professional singing lessons as well as being professional performers. In your singing lessons in London, they can help you personalise your own unique musical journey, with great singing technique to support you along the way. Our tutors cover all genres from rock and pop to classical, jazz and musical theatre in their singing lessons - there's never been a better time to take singing lessons in London! Singing lessons in London can be a minefield. But at MusicTutors, we are industry leaders in regards to safeguarding and child protection. All of our singing tutors hold the enhanced DBS certificate and share our vision for a regulated singing tuition platform. We offer peace of mind, knowing that your singing lessons in London are of high quality as well as being as safe as possible. Singing Lessons in London are Good for You! London's a busy, bustling place, full of life, but can also cause stress! It has been proven that singing lessons have enormous benefits for both physical and mental health. The act of singing can be therapeutic, release endorphins, as well as being a great stress reliever. Singing lessons can also be an amazing way of socialising and meeting new people, not to mention improving your singing! Take singing lessons in London today and get 50% off your first lesson. Singing Lessons in London Not for You? Singing is simply an essential part of the human experience and professional singing lessons refelct this: Singing was the beginning of all music and is still a central tenet of music making in the 21st Century. From the original folk and religious songs, to opera, jazz and contemporary music, the art of song and singing will continue for as long as we exist. Singing connects with people on many different levels - not only do we connect with the melody of a vocal line, but the words and the primal human connection of the voice draw us in. The vocal part of a song is what most casual listeners remember - rather than the bass line or the guitar part. 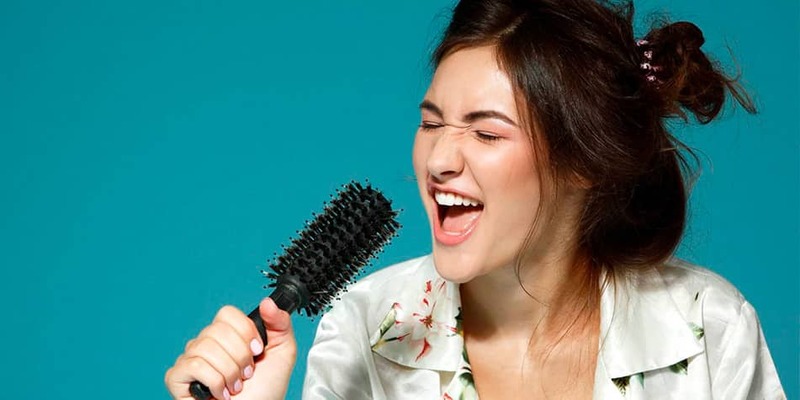 Taking professional singing lessons in London with one of our expert London tutors will help to connect you with this incredible cultural lineage! In your singing lessons in London, you will discover there are different categories of voice, divided by vocal range. Your vocal range is natural and can change over time, especially for younger children and teens. Knowing your voice type is important first step when you learn to sing. You could damage your voice by singing repertoire that just doesn't fit your natural vocal range/type and this is just one reason we recommend taking profesisonal singing lessons in London. There's a common misconception that if you can't sing in a certain range, it means you're not a good singer, but that couldn't be further from the truth! Take just one singing lesson in London with a professional singing teacher and you will discover that everyone has a slightly different comfortable range and it's not about how high or low you can sing, it's what you can do with what you've got! It's amazing what you can learn and accomplish in just one singing lesson in London! The voice is a unique instrument as we are all born with the ability to sing. So you don’t need to purchase a physical instrument, but we do need to learn to use our vocal cords in our singing lessons - without being able to see or look at them! When learning other instruments, it's important to pay attention to posture in order to achieve a fantastic sound and avoid injury. When learning to sing in singing lessons however, it is the top priority. Without correct posture, your air flow is limited, your muscles are used incorrectly and the strength of sound acheivable becomes less. In just a few singing lessons, you will learn so much about your anatomy and the muscles involved in learning to sing, you will have a whole new appreciation of the human body and what it can do! Take singing lessons in London with Music Tutors now and get 50% off your first lesson. When you're learning to sing, breathing is a huge part of producing a good sound. So learning to breathe properly is very important. A good breath control exercise to practise in your singing lessons is a "count-out". Breathe in deeply and slowly through your nose, as far as you can. Then start to count out-loud at a steady pace while slowly letting out your breath, controlling your breath as much as possible. Whilst you're learning to sing the aim is to reach the highest number you can in your singing lessons. This helps with controlling breath to produce different articulations and being able to make it through longer phrases without breathing. Try and do this every day as well as in your singing lessons in London and you'll soon see an improvement in your breathing as you learn to sing. Stay hydrated: drink plenty of water throughout the day, every day and especially before singing lessons! For your vocal cords to be hydrated, your whole body has to be hydrated. While most singers will have a bottle of water on the stage with them, this is more of a comfort blanket than anything else - if you're dehydrated when you step onto the stage, it's already too late! Adult students who learn to sing should also consider limiting their intake of alcohol and caffeine as both of these work to dehydrate you. This is especially true on the day of a performance or on the scheduled day of your singing lessons in London. We almost never see singers performing from sheet music - it's good practice in all genres to learn to sing your songs off by heart. But learning songs is a difficult process - you have to remember not only the words and melody, but your singing technique, rhythm, posture, articulation, dynamics etc. The goal is to be able to learn to sing the piece without sheet music, off by heart, perfectly - but this takes work! In your singing lessons, your tutor will recommend you learn to sing the song by breaking down each element and focusing on them individually in your practice sessions. For example, you can learn to sing the words out of context by saying each phrase over and over, or writing them down a few times. Similarly, it might help you to create a visual prompt sheet including bits of technique, direction and dynamics. Or you could learn to sing by practicing the melody on its own - try to learn to sing it on an open vowel sound around the house to see how far you can get without any sheet music. Another great way to memorise a song is to listen to it! It seems obvious but is often a forgotten technique. Directly after your singing lessons, put the song on your headphones on a bus or play it while you're doing the washing up - you will learn to sing it even if you're not focussing on it, it really helps to embed the song in your mind! Explore methods of learning pieces with one of our expert singing lessons in London. Any Questions About Singing Lessons in London? At MusicTutors, we love helping connect students with their perfect tutor. If you have any questions about singing lessons in London, call us on 07946125613 or send an email [email protected]. The office team are all professional musicians and educators and we love giving great service. We look forward to hearing from you!